L’Eroica and Anima Toscana offers, to those who wish, the opportunity to get the kit to complete the permanent route of L’Eroica on your own. You can obtain the “Road book kit” by regular mail to your home at the price of 10 euro, cost of delivery included, sending an email of request to info@animatoscana.it , you will receive an answer with the way of payment. Informative note of the Permanent Route. You can start to ride the Permanent Route from any point of the route. Each of the authorized sites is recognized as a point of departure and arrival of the circuit and therefore authorized to issue the stamps. 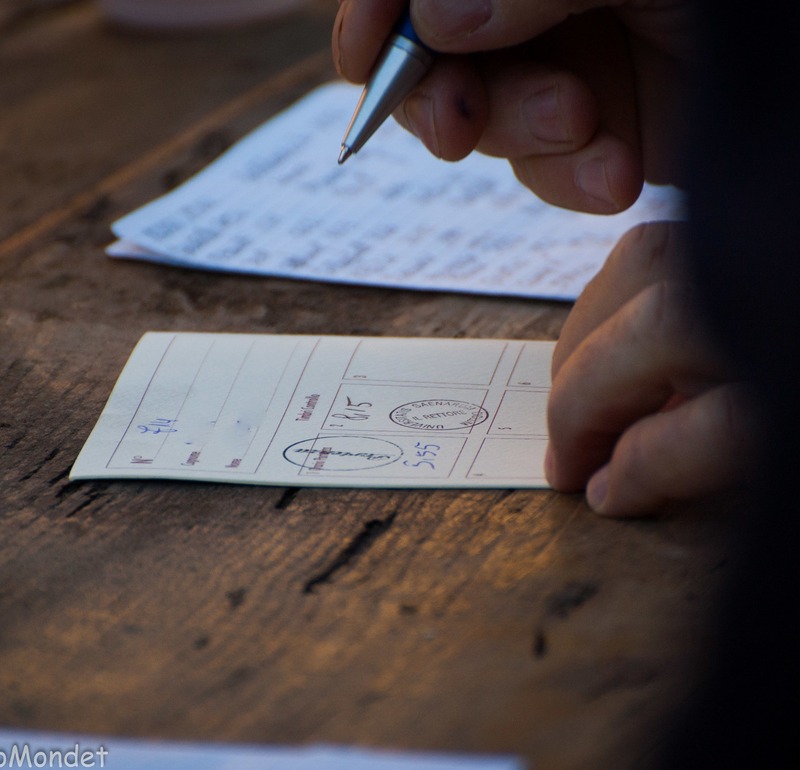 On the road book will be affixed stamps showing the passage along the 5 areas of the route: Chianti – Siena and Val d’Arbia – Montalcino – Val d’Asso – Crete Senesi. The stamps will be 6: 1 start (open to choice) – 1 for all next zone checks (total of 4 stamps) – 1 arrival (same as starting area). At the end of the route, presenting the road book with 6 stamps validation, you can request the final diploma with your name, at the price of 15 euro (delivery cost included). To required the Diploma you must scan the road book and send it to info@animatoscana.it , after checking the exact passage in all the areas of the Permanent Route, you will receive a personal diploma directly to your home. It’s possible to receive a complete kit “Road Book + Diploma” at the price of 22 euro, delivery cost included. Each weekend from April to November, Anima Toscana organises baggage transfer along the permanent route of L’Eroica, for those who want to live this experience in freedom but with an extra comfort. Anima Toscana offers travel solutions to complete the permanent route in 3, 4 or 5 days, or make custom packages following your needs, based on the days at your disposal or depending on the distance you want to cover by day. For more information WATCH THE PACKAGES or send an email to info@animatoscana.it to receive a free offer.